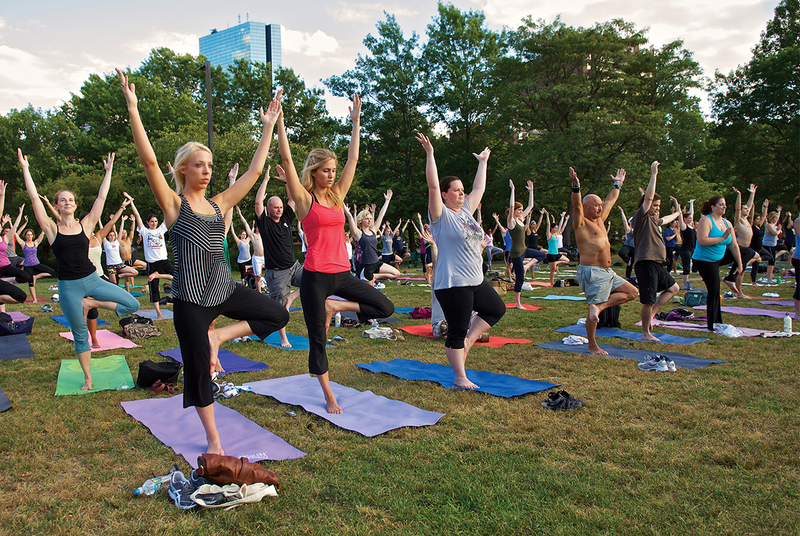 Yoga classes are quite popular, especially in major cities like Boston. Thankfully, some places offer free yoga classes. Some of the yoga studios in Boston that are known for offering free classes include Life in Synergy, South Boston Yoga and Lululemon. Life in Synergy is a popular eco friendly studio that is located in Back Bay. They offer a large variety of classes, and they charge by the class. It's especially popular amongst the younger crowd, with a younger staff, modern atmosphere and WIFI lounge. The classes are usually full, so it's important to register in advance. Although their classes are not generally free, those that sign up online are able to enjoy their first class for free. This offer is available to all Massachusetts residents, and is also offered to students that don't live in the area but attend school in Massachusetts. They do require both students and MA residents to bring ID proof when they arrive. South Boston Yoga is one of the more recent yoga studios to open in the area. South Boston Yoga opened in 2008, and is another green and eco friendly studio. They do not specialize in any specific form of yoga, but instead offer classes in the categories of beginner, intermediate and advanced. Everyone that goes to the studio is given their first class as free. Those that bring a friend that has not yet been to the studio, are not only allowed to bring in their friend for free but also are allowed to attend that class for free as well. They even supply the yoga mats for free, although they normally must be rented out for those that decide to return. New members are also given offers for discounted classes if they decide to continue. This studio is also known for frequently offering free classes every now and then that are open to the public. Further information on what is currently being offered can be found on their website. Lululemon is a yoga apparel shop that first opened in 1998. After gaining popularity, it began to open other stores throughout the world, eventually opening a location in Boston. Although it is an apparel shop, every Sunday at 9:30 am they move the clothing racks out of the way and host yoga studios that offer free classes. They also pair up with studios and yoga companies every now and then to offer other free classes. Further information can be found on their website or by contacting them directly.